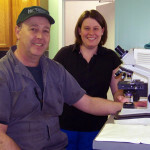 I have been a veterinary owner for 18 years. My practice serves both small and large animals. I was looking for practical methods of managing the business in order to create a better work environment and feel in better control of my business. The AMI program identified specific ways that I could track my business, pinpointed ways to address staff conflict and resolve issues, and helped to separate the medical and administration sides of the business. By tracking statistics, implementing changes and hiring administrative staff, my practice has been better coping with the ramifications of the BSE crisis. Having better control of accounts receivable and inventory levels, as well as having a happier staff, I know we will come through this period with a stable practice. Not only did I realize my original objectives but also gained a better balance between work and family. If I had had the benefit of AMI earlier in my career, I would not have missed so many family events and enjoyed many years with a reduced stress level. 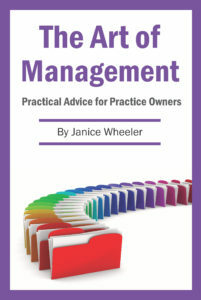 I would recommend to veterinarians searching for real solutions in managing their business, to invest in the AMI program.